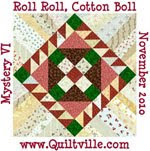 Another UFO finished!!! I had this finished last week, but just got a picture to post. 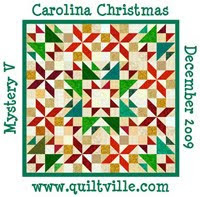 This is Carolina Christmas Mystery form 2010, by Bonnie Hunter. She used green where I have blue, therefore the Christmas. That is me on the left and my friend Annette on the right, helping me hold it up for show and tell at the QSC Spring Meeting. As you can see the binding wasnt finished. But it is now. 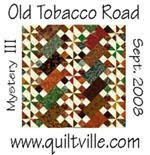 The border looks a little funny, but it is just sections of the reds I used in the quilt. 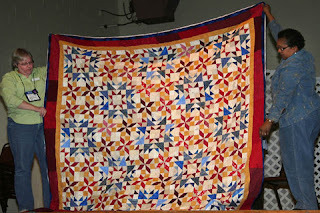 I do like this quilt.